I hated Santa when I was a kid. I remember hiding behind my moms legs when I was around 3 years old and whispering to her what I wanted (which of course was a doll), and I made her tell Santa so he would bring it to me. I also love some of the photos my parents have of my brother and I with Santa because for a few years we lived in Australia so we have pictures of us in shorts and t-shirts sitting on Santa’s lap outside. 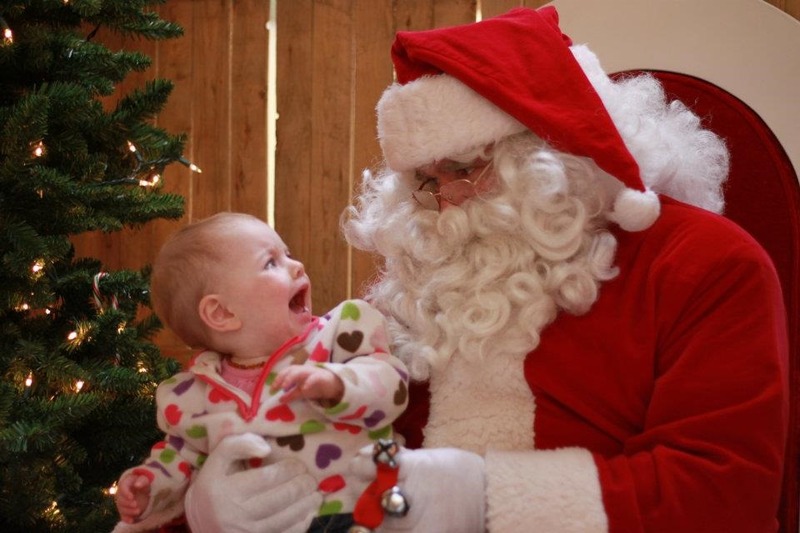 Capri’s first picture with Santa happened when she was about 5 months old. 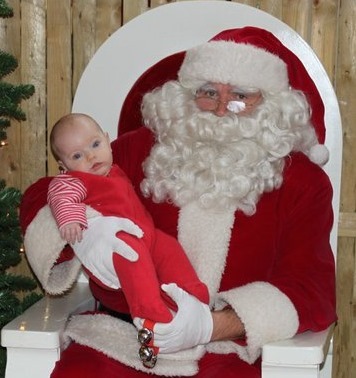 Santa was super awkward with her and held her like a little baby even though she could sit up. I believe this just set the trend for bad and awkward Santa photos for us. This was year 2 with Santa. Capri is 17 months and was not happy at all that we made her sit with the big fat man. And yes I know this picture is sad, but I love it. This year we stood outside for an hour to get the girls photo with Santa and to get a treat bag – so the treat bags might have been for Stefan and I but that is okay. 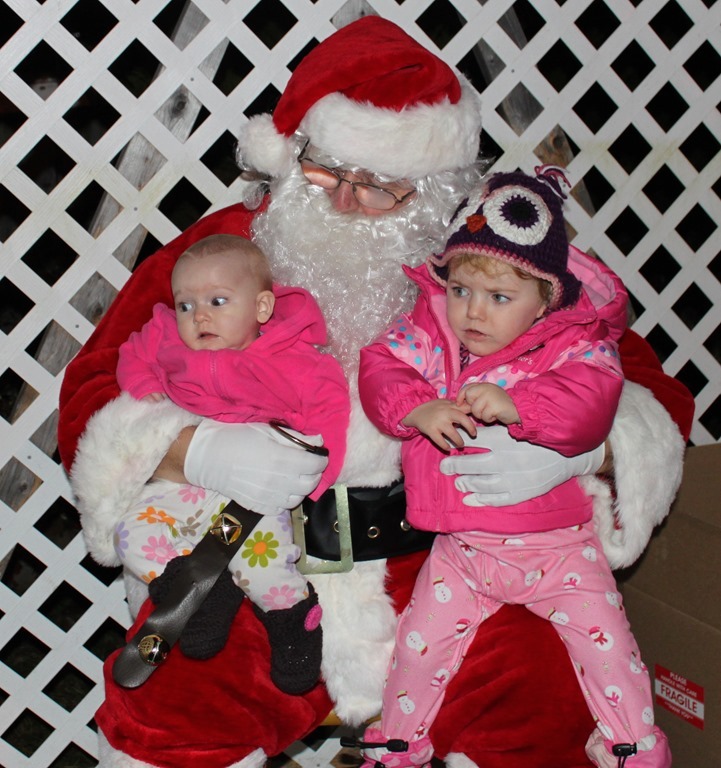 So here is our newest Santa photo with Capri being one month shy of 2.5 years and Payson being a little over 6 months old. I have no idea what they are all looking at.